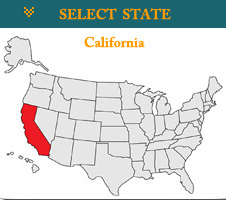 California If you intend on operating any commercial vehicle, you must apply for and obtain your California CDL. Commercial vehicles (or combination of vehicles) are classified into either Class A, Class B, or Class C licenses with endorsements. California CDL Requirements You must be at least 21 years old to operate a commercial vehicle across state lines (interstate) for hire. You may drive for hire within California (intrastate) if you are 18 years of age of older but younger than 21, but you may not transport passengers or placard requiring hazardous materials or waste. You must hold a valid California Class C (operators) drivers license. If you have held a commercial drivers license in any other state besides California in the last ten years you must submit a 10 Year History Record Check DL 939 .